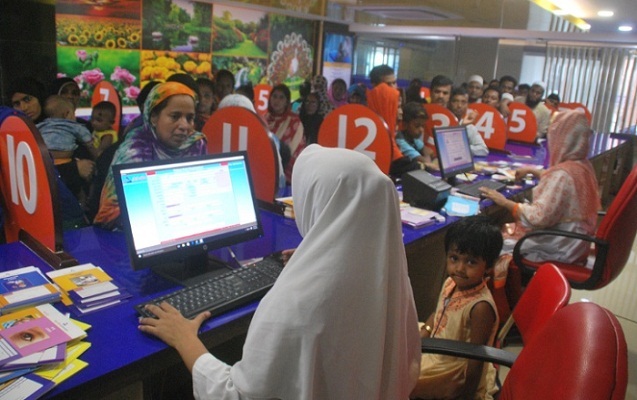 A large number of patients are visiting Ad-din Barrister Rafique-ul Huq Hospital at Jurain in the capital every day to avail themselves of the free health service being offered under a month-long programme. Hospital’s director Dr Md Jahangir Alam said around 400 patients are receiving health service for free every day on average from the health facility. The hospital has been offering the free health service at the outdoor unit from July 1 and it will continue until July 31. Any patient can receive the service from 8:00am to 11:00am every day. Services at the 11-storied 500-bed hospital were launched on May 27 last year when all types of health services were given to pregnant women for free for a month. Hospital Manager Tahmina Naznin Khan said the health facility is providing services at 12 departments including medicine, surgery, orthopedic, dermatology and dental department. A patient, Halima Begum, said she could not imagine such a hospital in an area like Jurain. “I’ve heard that many people are going abroad for better treated. But now we see that the improved treatment facilities are available in Bangladesh. If there are good treatment facilities in the country at low cost, it will be unnecessary to go abroad,” she added. Dr Jahangir said the hospital, boasting of modern equipment from Japan, the Netherlands and other countries and clean environment, has been set up at Balurmath of Jurain to offer high-quality health services at costs lower than that at other private hospitals in the country.